Today would have been my brother Corey's 23rd birthday. He was taken from us on October 16th 2008. He was a good kid, who had his whole life ahead of him, and it breaks my heart to not have him here with us. 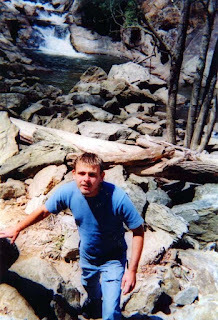 I smile when I think of him, all the funny things he'd do and say,listening to him sing, and always eating my yogurt, haha :) He loved fishing and being out near the water and mountains in North Carolina. I am grateful for all the memories I have..I really do love him, and miss him dearly, The whole family does..
we love and miss you dearly corey!!!! i cant believe another one of your birthday passes and your not here to party it up or be with us!!!! but i know your up there in a better place and looking down on us with that BIG smile of your on your face!!!!! we love you so much!! its still hard to believe that your not here with us! ill have dreams sometimes where yourll come walking through the door and everything will go back to how it used to be!!!! I love you brother! Always & forever!!!! Charlene helped with posting that, hopeful it will work next time, Love you!